"Drawing inspiration from classic 1920s and 1930s newsstands, men’s e-commerce company Harry’s aimed to give one of the oldest forms of pop-up shops a modern twist. In New York’s Grand Central Station, Harry’s built its own modern version of a newsstand, designed to promote its men’s grooming products during the Christmas shopping season. 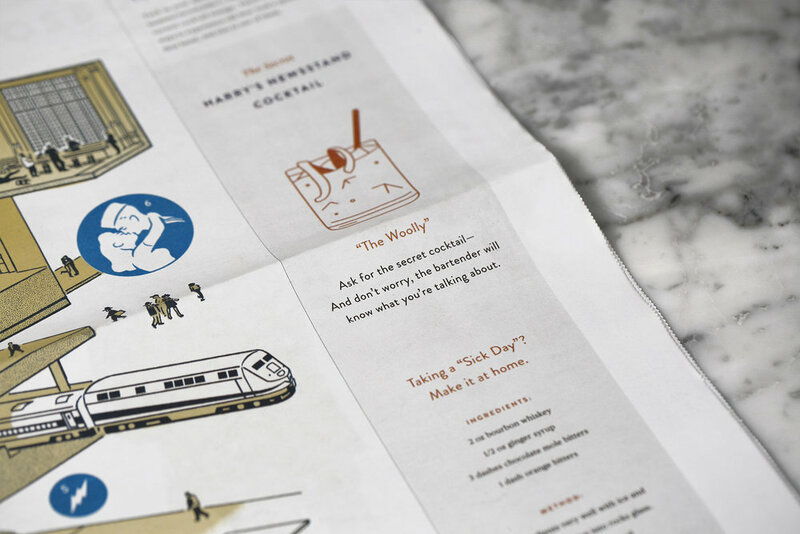 But Harry’s didn’t stop there—it also printed its own newspaper for commuters to enjoy on their rides, as well as a printed map of Grand Central that could double as some last-minute wrapping paper"